EthoFlex™ ER is an additive for epoxy coatings that can be applied with either the epoxy or the hardener and is compatible with any solvent. While other additives can require extensive preparation or expensive application equipment, EthoFlex™ ER is easy to add and can lower your performance costs by allowing fewer and thinner coats. As scientists we can appreciate the most elegant solution, and EthoFlex™ ER is just that- one ingredient taking the place of many; a simple preparation taking the place of many complex ones. All tests were made with EPON 828, a liquid epoxy resin, the additive, and 10% benzyl alcohol or other solvent. The hardener used was 4:1 cycloaliphatic amine adduct (XTA 801 from Huntsman) and the hardener to epoxy ratio is 0.8. 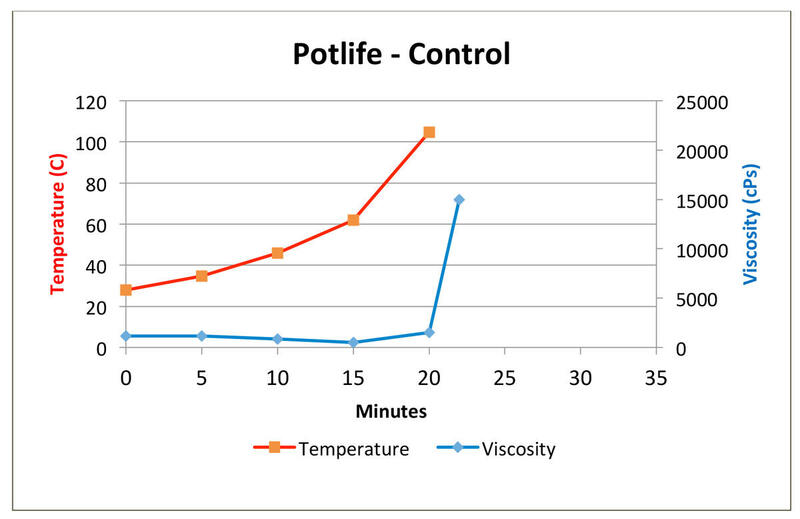 Additive percentage was tested at 15% and 30% of the total formulation. 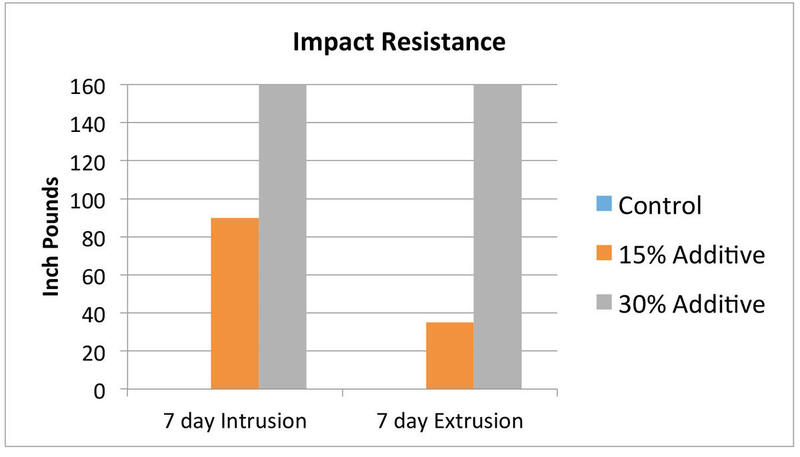 At even 15% additive, the results in the ASTM mandrel bend test dramatically improved, at 1/8 in. as opposed to the 1.5 in. bend in the control. You may notice that the control doesn’t even show up- this is because the regular epoxy without EthoFlex™ ER applied couldn’t handle either an intrusion or extrusion at a level of even 5 in.-lbs. 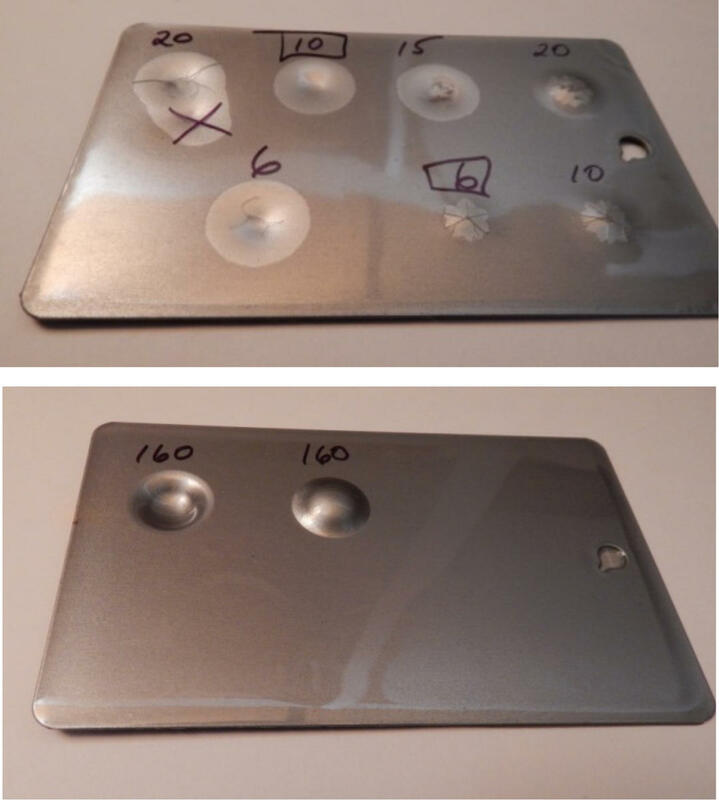 With 30% additive, the epoxy could handle 160 in.-lbs., the maximum on the test machine. 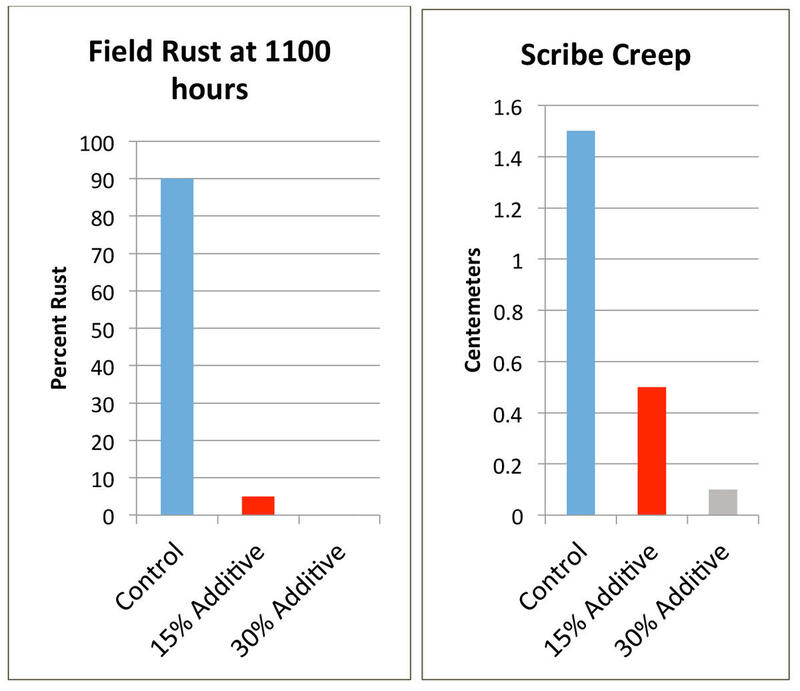 The pictures speak for themselves; the first picture is the control while the second is with 30% additive. Want your epoxy to be glossy? EthoFlex™ ER is your choice again! 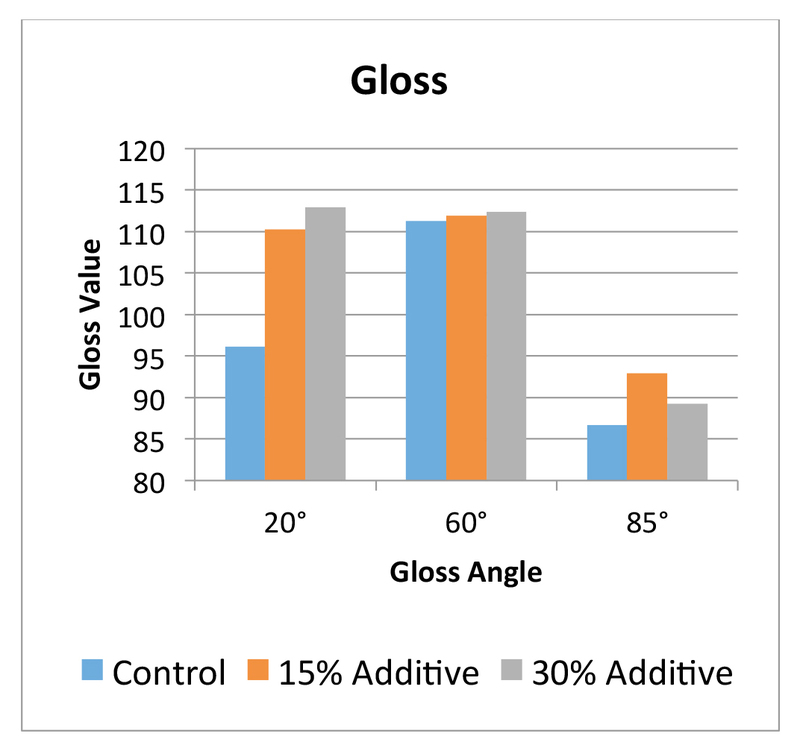 With even 15% additive, the gloss is improved from every angle with a very high distinctness of image. 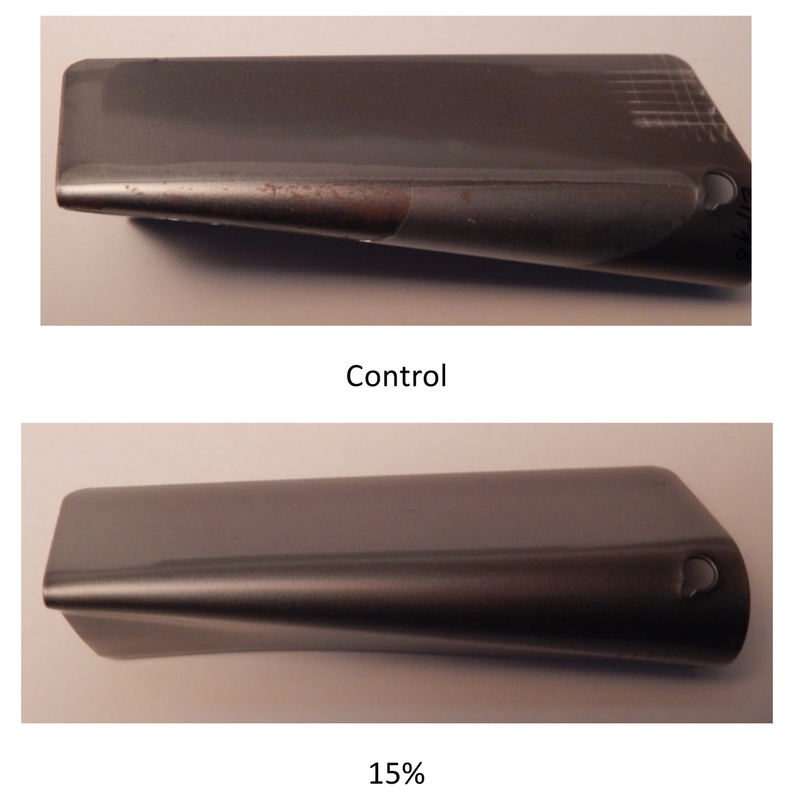 The control shows a typical curve for the epoxy. 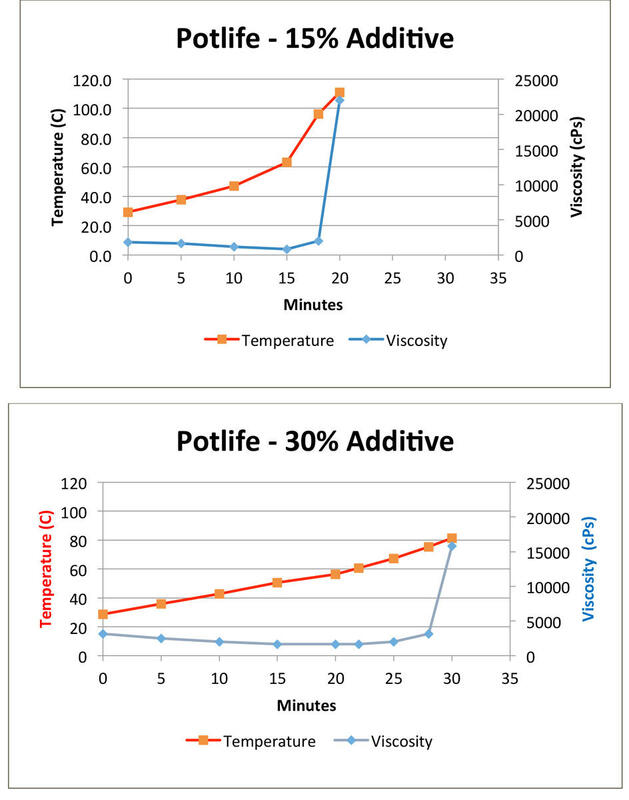 There is not a significant change with 15% additive, but at 30% additive, pot life is significantly extended, allowing roughly 50% more time for the operator to apply the epoxy. 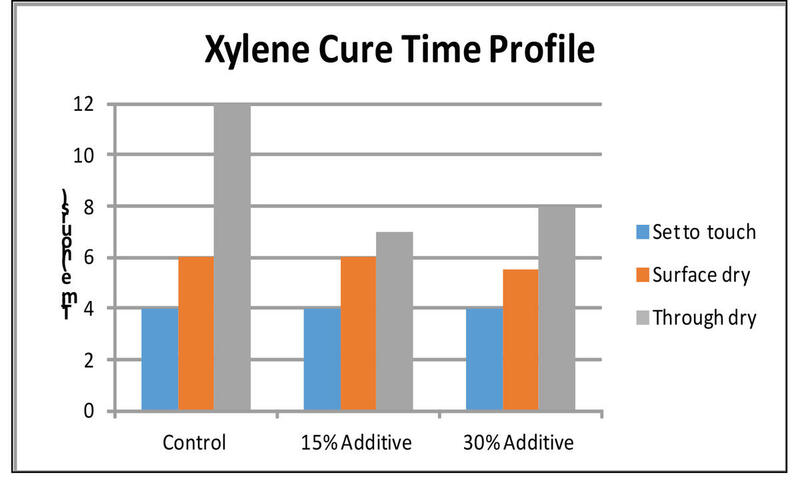 EthoFlex™ ER also performs when it comes to improving cure times. 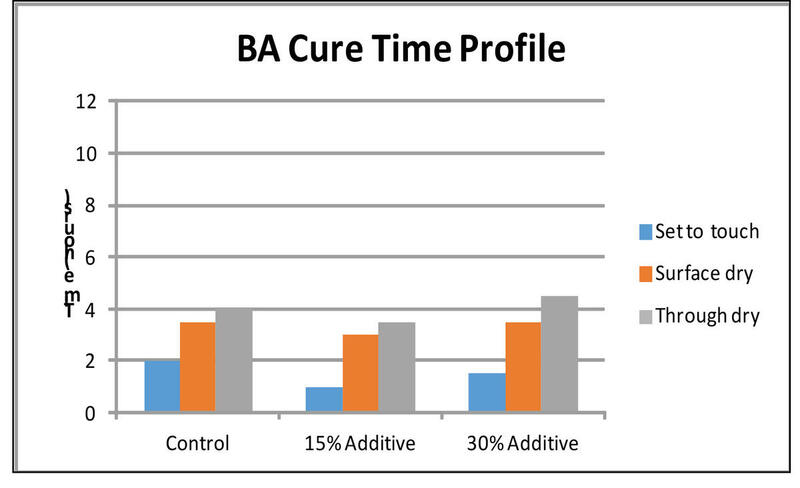 For benzyl alcohol epoxy systems, there is not a significant difference in cure time. However, keep in mind that the pot life was significantly improved. 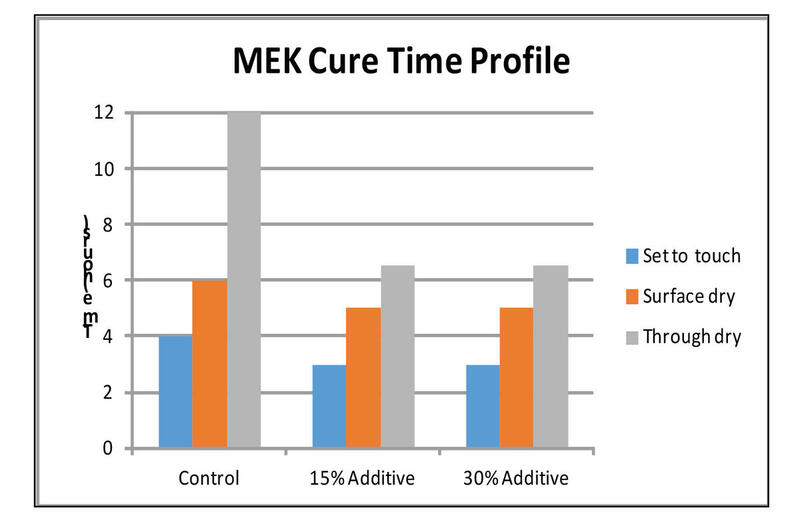 When using MEK as the solvent, cure time is clearly improved. The same holds true when using xylene. In addition to the pot life, cure time, impact resistance, gloss, corrosion, and flexibility improvements shown above, EthoFlex™ ER also imparts greater adhesion and enhances the properties of inexpensive solvents. As icing on the cake, it is a low-VOC product. While low-VOC regulations frequently reduce performance, products can typically make up for them in one category or another while decreasing effectiveness in other categories. EthoFlex™ ER is unique in that it actually increases performance while a loss of performance is not seen in any facet of the epoxy system. Contact us today to request a free sample.